Because I made about three million of them tonight. 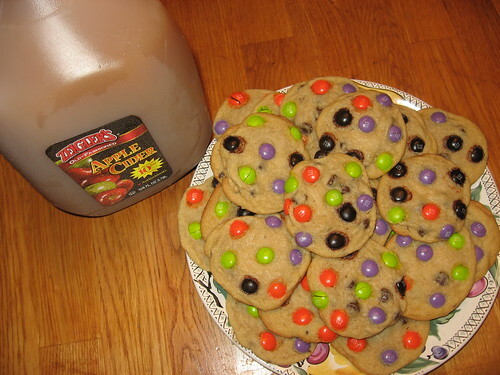 Those look so perfect, like you hand-placed each m&m individually. I emailed this your way already, but wanted to come here as well and say, “Yep!” M&M’s individually placed by me, C9, and E6. PS I think it’s funny how you Americans say “Hog” (in reference to your last post). We just never use that word for a pig over here, unless we are referring to a person who is taking more than his share of something.